In her debut novel, Sarah St. Vincent creates a compelling mystery set against the wider concerns of the War on Terror. In a national park in Pennsylvania’s Blue Ridge Mountains, nearly abandoned in winter except for the locals, a few hunters, and then a stranger whose presence warrants explanation, this novel unfolds. Kathleen works at the park’s only store and develops a careful friendship with Daniil, the stranger from Uzbekistan. 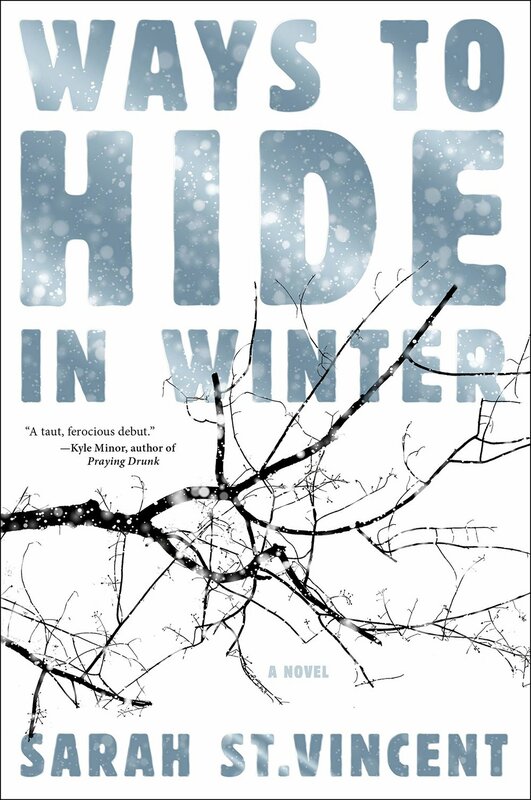 Ways to Hide in Winter drifts through the snow-covered scenes of its rural concerns—an aging grandmother, Kathleen’s dead abusive husband, her distant parents—but it also presents the secrets of its characters in sudden and unexpected moments of violence and betrayal, eventually involving Kathleen in a manhunt for her new, mysterious friend. The author’s experience as a human rights attorney informs the drama of the novel in a convincing way, filling each page with global implications without losing the immediate suspense, as well as the sense that in what should be a quiet, small town, there is someone watching, a secret left unsaid.